What do you want your life as an unemployable to be? Do you want to patiently create a lifestyle business as a freelancer without the pressure for massive growth? Do you want to, instead, create the next new SaaS mega-hit that puts you on the fast track for hockey-stick growth? Which drives you more: money or purpose? How can you set up your business so that the two are inextricably linked together? Or, details be damned, do you just want to build a business and life that gives you the freedom to pull your kids out of school for a year, sell your cars, rent out your house, and travel the world because you’ve made a nice living and have location independence with your work? You don’t need to answer right now. But you do need to realize that all of it (and so much more) is possible with a “7-Figure Small” business and lifestyle. The specifics just depend on which path you choose to go down. 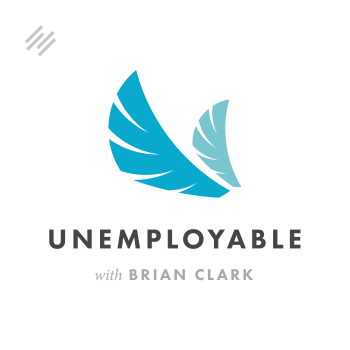 Brian and Jerod Morris explore that idea and so much more on this welcome-back-and-get-reacquainted episode of Unemployable.